Rapid delivery.good quality workmanship as always. Trousers too long though. Took the tape to them and they were exactly 33. Maybe my shape has CHANGED. Anyway took them along to my friendly tailor so no worries there. Very pleased. "Rapid delivery.good quality workmanship as always. 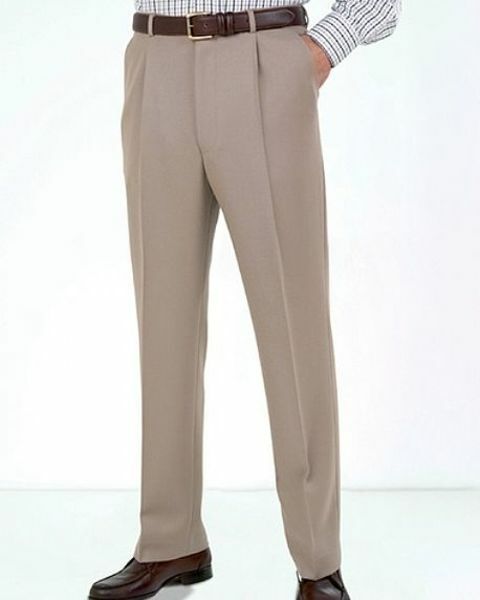 Trousers too long t ..."
Pure wool classic trouser. Cavalry Twill non turn up. Single front pleat, zip fly, belt loops, quarter pockets and buttoned back pocket. Trouser shortening is also available.